It’s that time of year – endless Christmas and New Years parties, family get-togethers, gift exchanges, and all the fun festivities that the holidays bring. However, with all the planning and preparation that goes into such events, you may like a few tips on which equipment and around-the-house supplies may make it easier. Check out the infographic below for 11 rental items that are perfect for your winter-time entertaining. This isn’t an exhaustive list of equipment Runyon rents for events and parties, but it gives you a give taste of what there is available. Be sure to visit the website if you have additional inquiries, or contact us for more specific information. Happy Holidays! 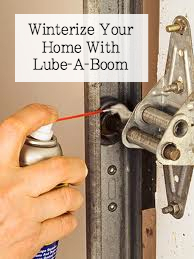 Protect your home from winter’s wrath! We’re here to help you navigate all the challenges of the season with the second of a four-part special edition on our blog, outlining the basics of cold weather preparedness. Today, we’re talking insulation. Winterizing your home with insulation is one of the most economical – and efficient – ways to save energy, keeping you and your family warm and toasty. In addition to caulking, weather-stripping and installing storm windows and doors (or covering them with plastic), adding insulation to walls and attics (even floors, basements, garages, barns, sheds or any place that provides shelter for your family and pets, livestock and equipment) can make a difference keeping warm air in and cold air out. 1. Twelve to 15 inches of roll insulation in your attic is one of the easiest ways to achieve insulation protection. Do-it-yourself insulating is simplified when you use an insulation vacuum and blower, which blow insulating foam into the area. 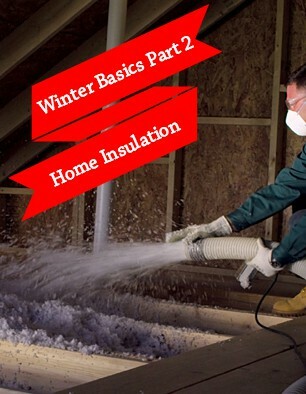 For more information on how to insulate your attic, read this blog post. 2. Consider closing off the attic using a sheet of plywood to cover the opening. To cut down on cold air leaking into the living space, create an airtight seal by attaching foam insulation pads to the back of the attic door and applying foam weather stripping tape around it, just as you would any other door. You can also install an insulated attic tent that fits over the pull-down stairs (if applicable). 3. Insulate pipes to keep them from freezing. Insulating hot water pipes will help decrease the cost of hot water, too. Cut pre-slit high R-value pipe foam to size and fasten it in pace with duct tape. Take it up a notch by wrapping (or re-wrapping) your hot water tank, using an insulation blanket and securing it tightly around the tank (tankless water heaters do not need this precaution). Seal air ducts in your attic and basement using a roll of HVAC foil tape, available at home centers. Simply wrap the tape around joints and secure. 4. One place you may not think about is your light switches and outlets. These holes in the wall are usually covered with thin plastic covers that probably provide little protection against cold air leaking into the living space. Install pre-cut foam gaskets underneath your light switch and outlet covers, which will act like weather stripping in the smallest places. Hey, every little bit counts! Our expert staff is always on hand to help you with the cold weather basics of insulating your home. For the first installment in this series, check out the first post about snow removal. From insulation equipment, accessories and everything in-between, if you have any questions about what to choose, pricing or how-tos, don’t hesitate to contact us. Stop by our store — we’re open seven days a week. How prepared are you for winter this year? We’re here to help you navigate all the challenges of the season with the first of a four-part special edition of our blog, outlining the basics of cold weather preparedness. Today, we’re talking snow removal. From clearing walkways to freeing your car of snow, sleet, freezing rain and ice, keep your family and guests safe by stocking up on a few products that help you remove cold weather precipitation with ease. In addition to checking the anti-freeze in your cars, make sure to have extra on hand in the garage. Keep at least one window scraper in each of your cars and one in the garage, for hard-to-lift ice that can blur your line of sight while driving. If the locks on your car, or on your front door, get frozen shut, a spray can of deicer can help tremendously. It can also help free windows from ice, allowing them to open as usual. Large amounts of snow can be removed using a snow blower. The deicer can also help clear the machine’s moving parts of ice and compacted snow, along with a wire brush and a spray can of lubricant. Make sure to test the snow blower before a storm and keep the necessary spare parts ready in case they’re needed. Whether you use a snow blower or not, there is almost always a need to shovel snow. An ordinary snow shovel can be a homeowner’s best friend this winter, as predictions for Arctic blasts in eastern United States remain pretty high. Maintain a shovel like any other piece of equipment, hammering out areas of the metal that get crumpled with use, tightening loose handles or removing burrs from plastic. Prepare physically for the task. As with any physical exercise, stretch legs, back and shoulders before you start. Dress warmly in loose-fitting layers that come off easily as you exert yourself, but can be added quickly during a rest. Pace yourself and rest frequently, keeping hydrated. And when you’re done, stretch tired muscles once more, to avoid tight, inflamed body parts. Have a snow removal plan. Decide where you will dump the snow. Start by brushing off the cars then clearing around them, moving the first shovelfuls to the farthest edge of the driveway, so the last shovelfuls are moved the shortest distance. This way, you won’t have to move the snow twice, if it’s piled in the way of more snow that needs to be removed. Work in thin layers and several passes, which is easier and safer than hefting one over-heavy shovelful. Use a healthy technique. Shoveling snow is hard work. Use your large leg muscles to lift shovelfuls and push snow out of way as much as possible. Use your knees to squat, holding the shovel as close to your upper body as possible, protecting your back. Hold the shovel with two hands (one close to the blade) for better leverage. Get your shoulder muscles into the throwing action, avoiding a twist in your upper body as much as possible. Let Mother Nature help the melting process. After removing heavy snow from driveways, sidewalks and other walkways around your house, keep them clear with ice melt. Check if the ice melt you buy can be used on concrete (especially new concrete) as certain formulas can cause new concrete to fail. Then, let the strong winter sun do the rest. 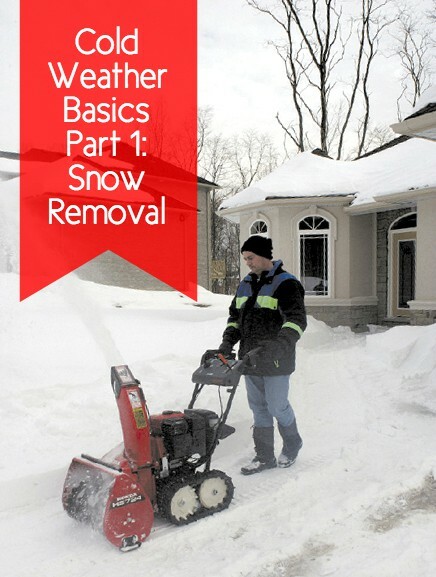 Our expert staff is always on hand to help you with the cold weather basics of snow removal. From snow blowers to rent or buy, to shovels and everything in-between, if you have any questions about what to choose, pricing or how-tos, don’t hesitate to contact us. Stop by our store — we’re open seven days a week. The holidays are right around the corner, which means if you don’t already have your Christmas lights and outdoor decorations put up, now is the time. It’s always so fun getting in a festive Christmas spirit, and decking out your house with lights creates the perfect ambiance. However, in order to hang lights properly it’s important to understand which ladder is right for the job. Boom lifts are ideal for really involved light displays, especially for tall buildings, churches, homes and trees, a boom lift may be your best bet. They can reach much higher than a ladder and they’re sturdy and easily mobile. The Cities of Westfield and Carmel and many churches use a 56′ towable lift for instance. This is useful if you are hanging lights on a large spruce tree for the top. Extension or step ladders are more suited for doing lights around your roof. When choosing an extension ladder, consider one that is about 6″ taller than your highest point so it lays securely on the roof. Another thing to consider is the pitch so the ladder will extend over bushes and other landscaping, so as not to damage anything. Gloves are super helpful when hanging lights on bushes and trees. Truly, I learned the hard way and ended up with multiple small cuts on both hands. You will also need extension cords. When purchasing cord/s, you want to look for outdoor cords, specifically made for outside lights (able to withstand low temperatures). Also, 10/3 can hold more amps than 12/3. Be mindful not to overload the outlet so as not to trip your breaker. Staple guns are also ideal for securing lights and garlands to the roof or other areas of your home. There are even staplers specifically made for roofs and siding. Inside your home, be leery of how you position window candles. I burned my wooden shutters in the window with one of those fake window candles. Little candelabra light bulbs do get very hot, so make sure they are on only when window curtains, shutters, blinds, etc. are open. For more tips on how to choose a ladder and safety tips when putting up your Christmas lights and decorations, check out this past blog post. For general holiday safety tips, read this post. Also, feel free to reach out with any questions about which equipment to use, additional tips and pricing.